This delightful necklace is a combination of Smoked Topaz and Clear Swarovski Crystals. Smooth, round gold beads and double linked gold chain add opulence and give depth to the piece. 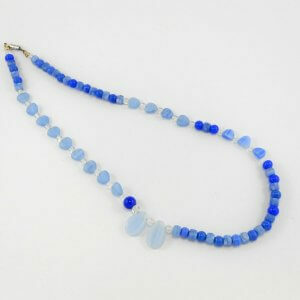 The necklace is finished with a lobster clasp and can be adjusted up to a length of approx 55cm. A smooth double-sided puffed gold heart completes the design and was what made me think of Buddy Holly's song.